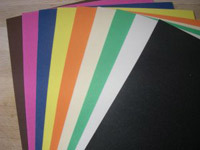 Brightly coloured micro foam sheets. Loads of applications in fly tying. Use for foam backs on beetle patterns or in saltwater flies like gurglers.